But do they have bread with red bean and taro and pork floss? 'Cause that's my favorite. 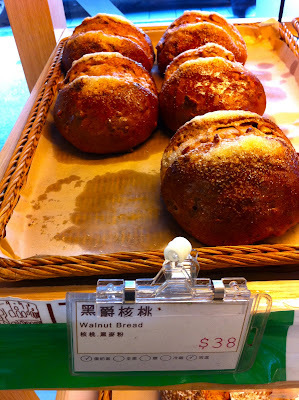 hmmm im def going to give the walnut bread a try soon when im around the area! yummo! haha i thought the raccoon was panda as well! I fully agree and heartily recommend their lemon tarts. They're so rich and sour they might be better than lemon bars from home. karl: haha, i think i spotted some pork floss today but i didn't see red bean or taro. vivienne: try it and let me know what you think! india: thanks for commenting!! mm, i'll have to try the lemon tart next. their lemon cheesecake was definitely rich and sour enough. 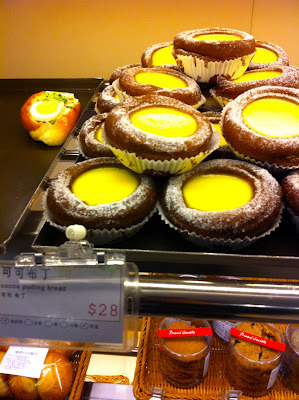 i miss real Taiwan pastries !!! haha thanks for your le gout recommendation. i really cant wait to try it out! (altho its kinda far). Aww, the raccoon/panda breads are sooo cute! 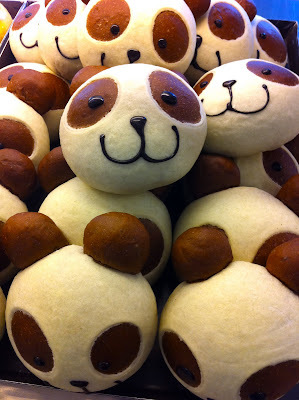 I agree they look nothing like raccoons, but are still super cute. they do have some good bread, I had their garlic bread and it very tasty. 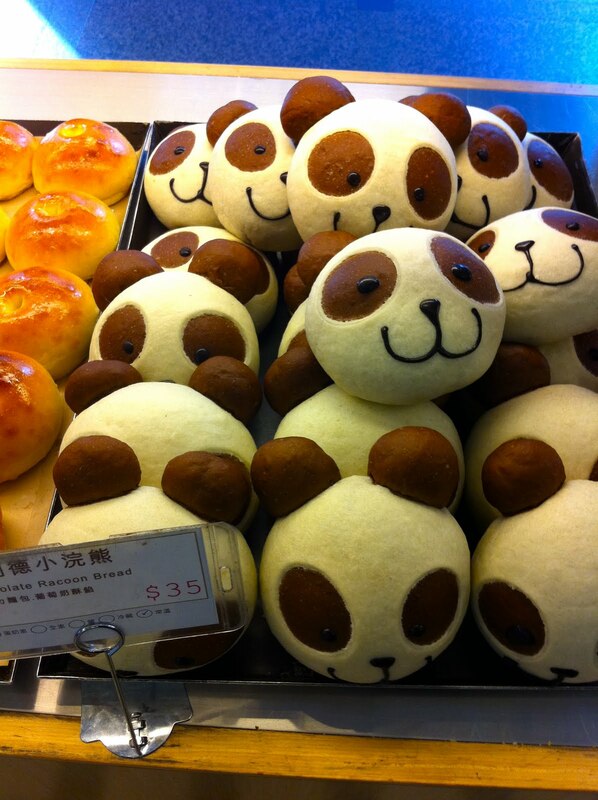 Leave it to Taiwan to make bread that is both cute and delicious (for the most part). I do not know how anyone can ever do the atkins diet in Taiwan, there is a bakery and tasty bread everywhere! ooh there is one near to me here in XinDian! 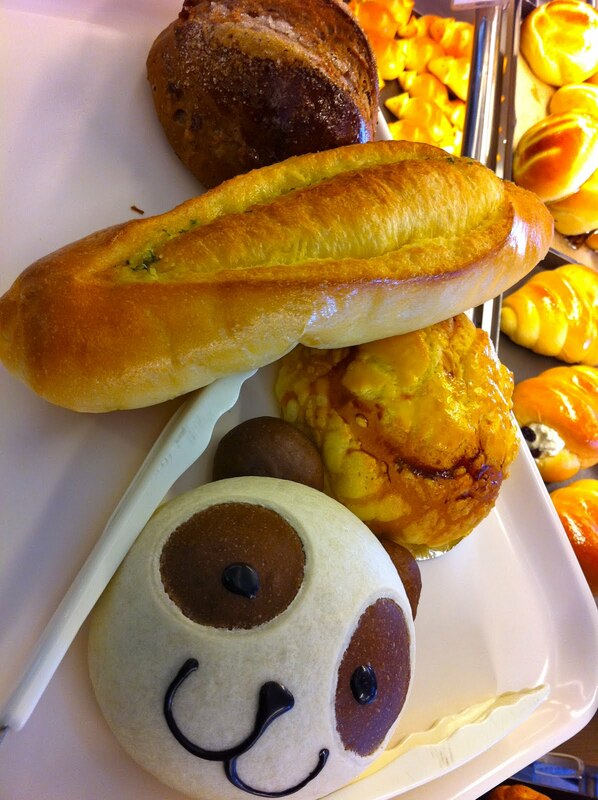 I have been wanting to try it :o The Panda/Raccoon bread looks so cute!! 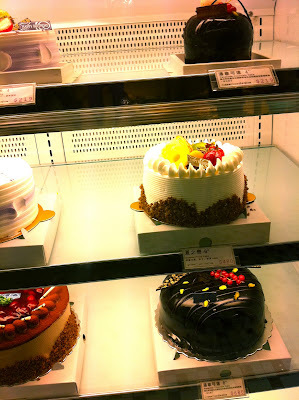 Joe Chang: thanks for commenting! it's definitely one of the best things about Taipei! Kathy : thanks so much!! Vivienne: I like Le Gout a lot more the 2nd time I tried it.. it's definitely far for me too! I gotta post about that as well! Hope your friends will leave some comments on their fave places if they find the blog helpful! Sparklewolfie: cool! let me know what you think! 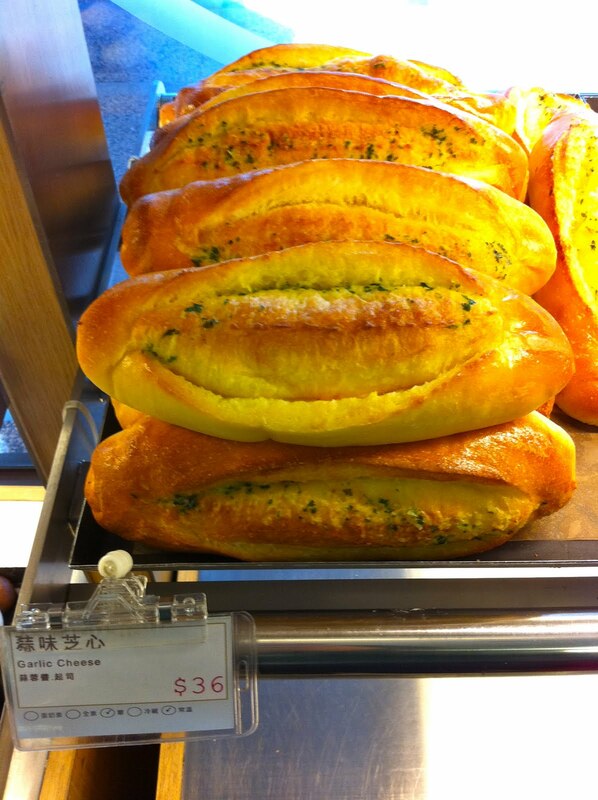 I love their breads too! mindymeow: the breads are good! thanks for reading and commenting! Have you ever tried their “honey butter balls （蜂蜜奶油球）”? It’s a ball-shaped French bread bun, stuffed with a thin slice of frozen butter. Inside the bun, underneath the butter is a thin layer of honey paste, sprinkled with sugar. It is great to see these popping up more and more. The Taiwanese section in the BS is also shrinking. Today when I went to the western style took up 80% of the shop and the horribly sweetened over the top section was being ignored. Seems that people do actually like good bread but have never had access to it before. lols at the guy who mentioned pork floss , taro and red bean. We have a joke amongst my mates that one day subway will do such a sub and do away with the traditional flavours and they will wonder why sales plummeted.